Posted by Anthem Hayek Blanchard // May 20, 2015 // Silver. Ted Butler, a highly regarded analyst in the precious metals sphere, recently suggested that JPMorgan Chase might own as much as 350 million ounces of physical silver. That’s a shocking number, and even though speculation is rife in Butler’s arguments, the official figure (around 55 million ounces) tells an interesting story. The bank’s bullish stance could bode well for the future of the silver price. JPMorgan started collecting silver in April 2011, when the metal’s price was just beginning to fall from its high of nearly $50/oz. Before the spike, the bank had virtually zero ounces of physical silver bullion. A year later, their stockpiles were up to around 15 million ounces and since then, they have more than tripled their stash to 55 million ounces. In a span of just 10 days during April 2015, they had more than 7 million ounces delivered; a huge amount for such a short period of time. 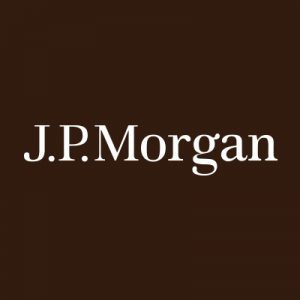 Some have argued that JPMorgan’s behavior in the paper/digital silver market has been malicious and unfair. In a lawsuit, rival investors claimed that the bank was manipulating the price downward to aid their physical purchases. But that lawsuit failed in 2013 and an appeal was struck down in 2014. When it comes to the facts, however, JPMorgan’s intent is not especially important. The bottom line is that the bank has been amassing a great deal of silver bullion, and that could mean that they expect higher prices before long. Two essential factors here are JPMorgan’s sheer size and influence. It’s the largest bank in the U.S., and it’s leaders clearly knows their way around Wall Street and the entire financial system. That certainly doesn’t make them immune to mistakes, but their outlook should still mean something to the average investor; if they expect a spike, maybe we should too. And of course, this begs the question: Why? If JPMorgan is so large, so experienced, and has access to crucial and far-reaching market analysis, then what do they see that’s telling them to buy silver? It could be nothing more than the idea of profiting through manipulation, but there could be more legitimate reasons as well. Some suspect that JPMorgan anticipates another financial crisis. The bank’s chairman and CEO, Jamie Dimon, even wrote to shareholders recently and noted that “there will be another crisis, and its impact will be felt by the financial market.” He further explained that the crisis could be triggered by any number of events. The cause could be geopolitical issues, rapidly rising interest rates, a commodities collapse, a real estate crisis, a bubble, or something else. In my own opinion, that anticipation makes a lot of sense. The history of the world’s financial crises alone should indicate that problems will come. Every few decades (or less) we see interest rates go crazy, prices collapse (or spike), currencies evaporate, or entire industries go under. Throughout all of this, silver has certainly fluctuated, but for wise investors, it has never failed. Its reputation as a sound store of value has held strong. It appears that JPMorgan sees silver as security at the very least and as profit if things go well. We might be well-advised to follow suit.